The Banking Fundamentals skills test is a fast, easy way to confirm whether a candidate has a basic understanding of the core principles behind the banking system. The test asks questions from a bank of questions for testing security purposes. 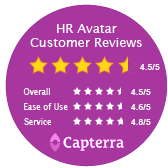 HR Avatar periodically adds new questions to this bank to prevent cheating and to stay current with developments in the field of banking and financial accounting. This test is fully mobile ready and operates on most modern mobile devices. Note that while the Banking Fundamentals skills assessment is a useful and efficient instrument for confirming a base level of skill or knowledge about this important topic, it is not intended to pinpoint the exact level of candidate or skill. We recommend that skills tests, like this one, be used in parallel with other measurements, such as cognitive ability, job fit, and behavioral history. Each different type of test provides a valuable piece of information you can use when evaluating potential job performance.